Looking to soften some of the damage to its brand, Samsung is extending an extra $100 in credit to U.S. Galaxy Note 7 owners willing to exchange the phone for another Samsung device. People wanting a full refund —or to exchange for a non-Samsung phone —are being offered a smaller $25 credit, TechCrunch noted on Thursday. It's not yet clear if Samsung will be making similar offers outside the States —otherwise Note 7 owners will get their original money back, or the price difference if they choose to exchange. Samsung's refund and exchange program expanded to Australia and parts of Asia this week as the company officially ended Note 7 production. 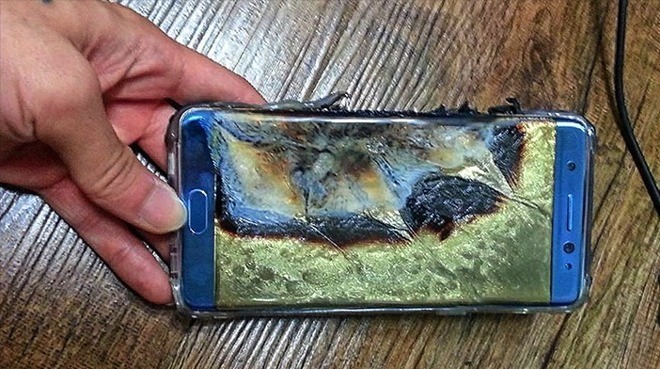 Shortly after launching the Note 7 in August, some customers began reporting fires or even explosions linked to the phone's battery. While Samsung tried to fix the situation with a recall, even some of the replacement devices experienced the same problem, leading the company to kill off the product entirely to mitigate costs and the blow to its reputation. The New York Times recently suggested that Samsung mishandled the recall, finding itself unable to properly diagnose the problem. While it attempted to solve the situation with replacement batteries, the issue appears to have been more complex.